To mark International Women’s Day, the Sirajganj district administration chalked out several programmes on March 8. The programmes included a procession, discussion and cultural function. Hundreds of people, including women from different organisations, brought out a colorful procession from the premises of the DC office. The procession ended in front of the Shaheed Mansur Ali Auditorium. A discussion was also held at the auditorium with Hafiza Khanom, District Women’s Affairs Officer, in the chair. Deputy Commissioner Humayun Kabir attended the meeting as chief guest. Speakers at the event said that, women are now contributing greatly to economic development. They also stressed the need for parents to send their daughters to school. Later, a cultural function was held, where local artistes performed songs and a play. The 100th International Women’s Day was observed in Pabna with several programmes. District Women’s Directorate organised a daylong programme including a discussion, rally, cultural programme and debate at the district headquarters. A colorful rally was brought out from Pabna Town Hall premises on March 8, marking the day. Different NGOs, government organisations, cultural activists and a cross section of society participated in the rally, which paraded the main streets of the district headquarters. A cultural show was held in Pabna Town Hall on that night. Artistes from Pabna Shishu Academy and Banchte Chai Unnayan Samiti participated in the cultural programme. A discussion on ‘Jago Manush, Narir Khomotayan-e Jago’ and a cultural programme were held at Shaheed Satu Hall premises in Chapainawabganj town on the occasion of 100th International Women’s Day. Sachetan Nagorik Committee, Chapainawabganj, a unit of Transparency International Bangladesh (TIB,) organised the programme. The event was presided over by the organisation’s convener Advocate Saiful Islam Reza. Among others, District Women’s Affairs Officer Selina Begum, Vice Chairman of Sadar Upazila Parishad Shantana Haque, educationist Marzina Haque and SNC member N.S.M.Mahbubur Rahman spoke on the occasion. To observe International Women’s Day, a play “Amader Sheuli” was staged on Monday at Thakurgaon District Women’s Affairs office premises to generate public awareness against eve teasing, early marriage and dowry. The Thakurgaon District Administration and Thakurgaon District Women’s Affairs Office jointly organised other programmes, including a procession and discussion here with the assistance of Thakurgaon NGO Cell, a forum of Thakurgaon NGOs, Eco-Social Development Organisation (ESDO) and RDRS Bangladesh. Nishchintapur Theatre Thakurgaon performed the play under the management of NGO Cell. The play reveals how girls fall victim to eve teasing, early marriage, dowry and meet with a tragic end. 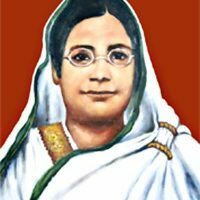 International Women’s Day was observed in Tangail district in due manners. Different government and non-governmental as well as socio-cultural organisations in the district arranged various programmes to mark the day. The programmes included rallies, discussions, documentary screenings etc. Russian Centre of Science & Culture in Dhaka celebrated the International Women’s Day with much gusto. The programme was organized jointly by Women’s Chapter, Russian Alumni Association and Russian compatriots permanently residing in Bangladesh, says a press release. Immediately after the Liberation War, Russia started admitting Bangladeshis for higher studies on scholarship basis. By now more than 7000 people have benefited. Among them are women who now constitute the cream of the nation, like Dr. Dil Afroza Begum, professor and head of the Chemical Engineering department, BUET; Madhabi Islam, former director, Atomic Energy Research Establishment; Dr. Begum Rokeya, professor and chief research officer, Pharmacology Department, BIRDEM and many others. The participants of the programs were treated with famous Russian pirozhki (a variety of pies). Russian Federation was featured as a modern democratic country with equal rights for both men and women.